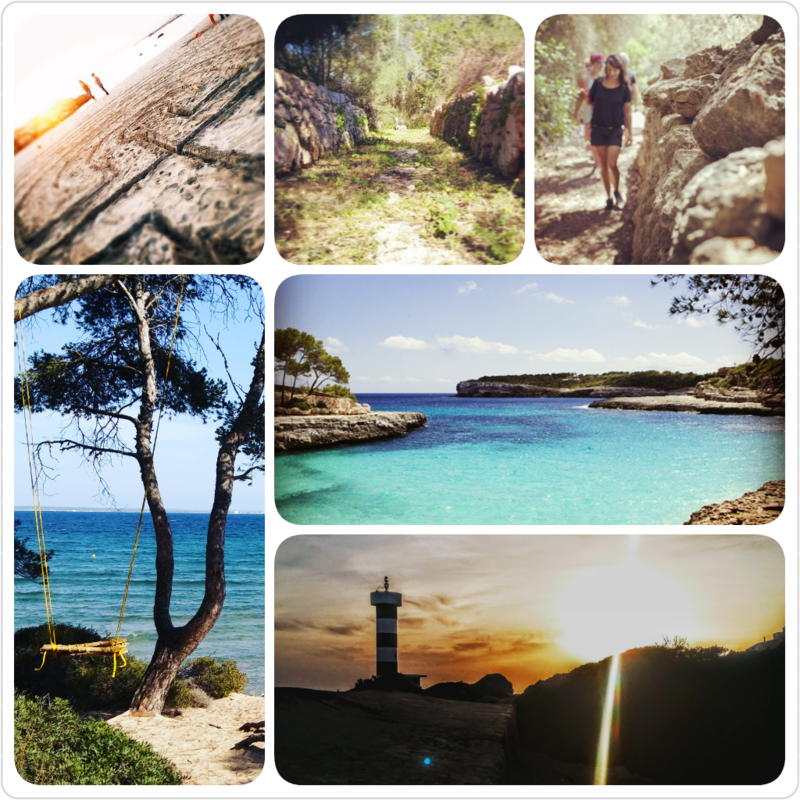 Join us on a journey into the wholesome colors, mild climate and remarkable nature of Mallorca. 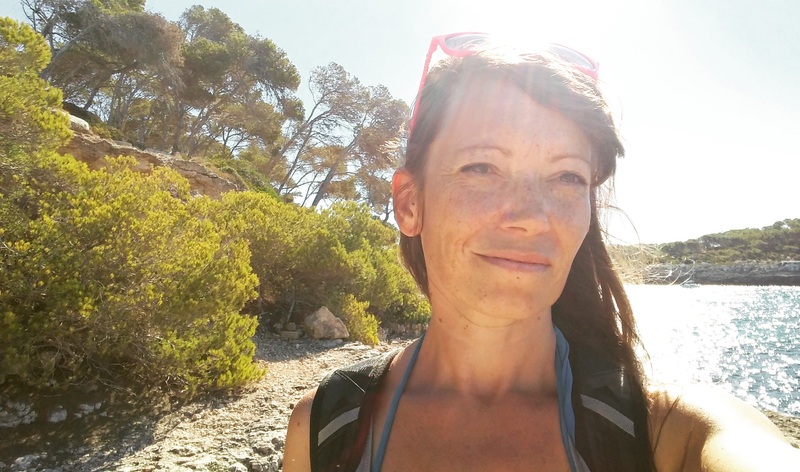 We will explore the island with all of our senses, roam the narrow streets, taste Mallorca’s culture, feel the mild sea breeze, watch the sun go down and journey into magical places where we can be one with ourselves. Together we will embark on mindful walks and easy hikes, build and walk labyrinths on the beach or experience the magic of a cacao ceremony. Come on this unique journey that encourages us to be completely present and fully appreciate the special moments on this magical island. Walking a labyrinth is an ancient practice that allows one to find an inner calm and thus arrive at oneself. It is said that the labyrinth represents the path of our lives. 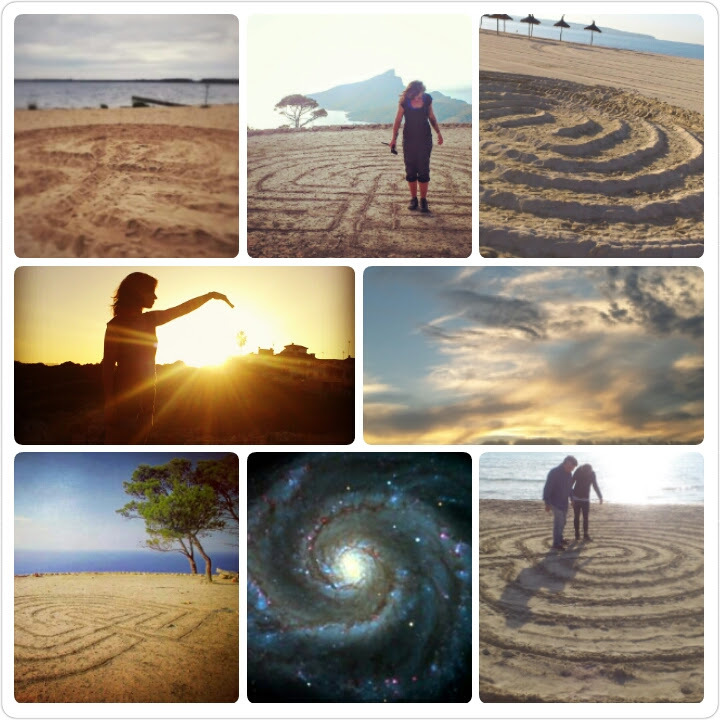 Together we build and walk our impressive labyrinths on Majorca’s most beautiful beaches and magical places of power. 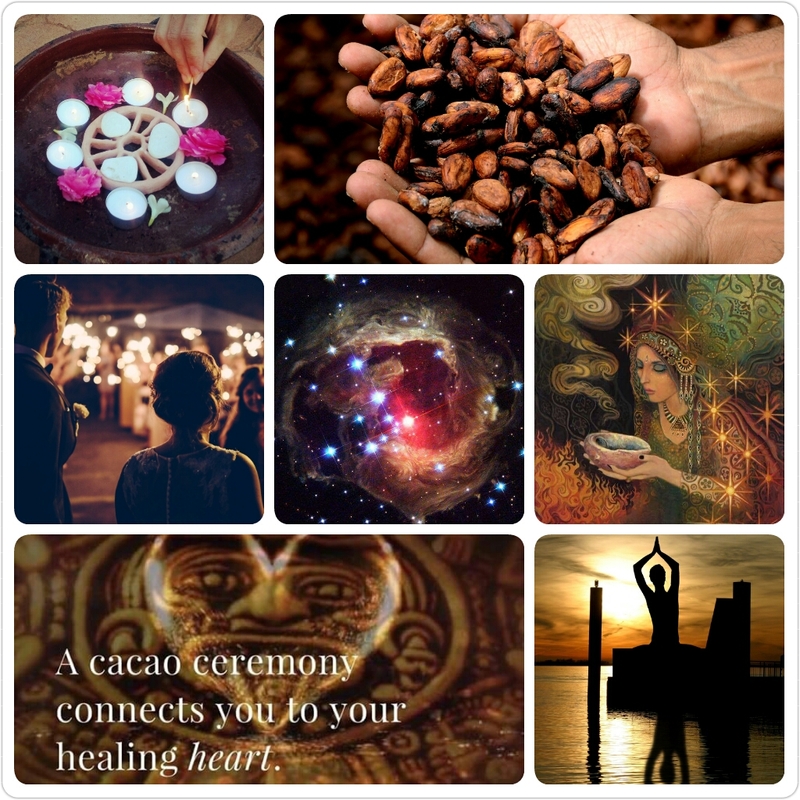 The Mayans and Aztecs believed pure and unprocessed cacao has the power to open our hearts and connect us to ourselves. Following ancient ritual practices, we work the cacao beans into a heart-opening drink that enables us to experience the magic of a cacao ceremony. 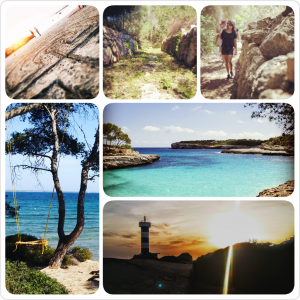 We take you on easy guided walks and hikes in the most beautiful areas of Mallorca that are away from the hustle and bustle of city life. We go on trips that indulge the senses, that take us away from the daily stress in order for us to find the oasis of our inner peace. We go to a place where we can refuel, breathe and draw strength. ​​Ich bin Sylvia und werde dich oder euch auf der Tour begleiten. Ich lebe seit 2015 fest auf der Insel und liebe das Leben hier. 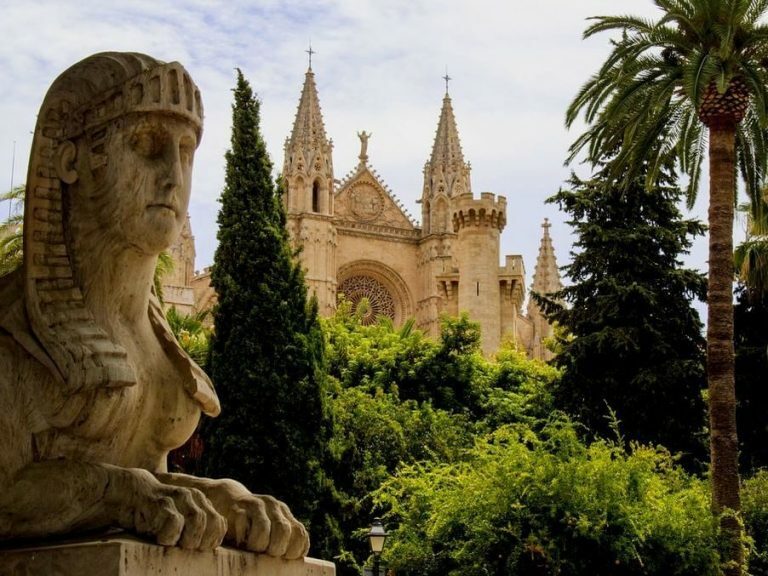 Ich werde dir mein Palma zeigen, dir ganz viele Insidertipps geben, dich mit in Cafes nehmen und dir ganz viel von Mallorca zeigen und erzählen. ​Auf unserer Route durch die Altstadt gibt es immer etwas Sehens-, Erzählens- und Entdeckenswertes. Und natürlich die ein oder andere Gaumenfreude. 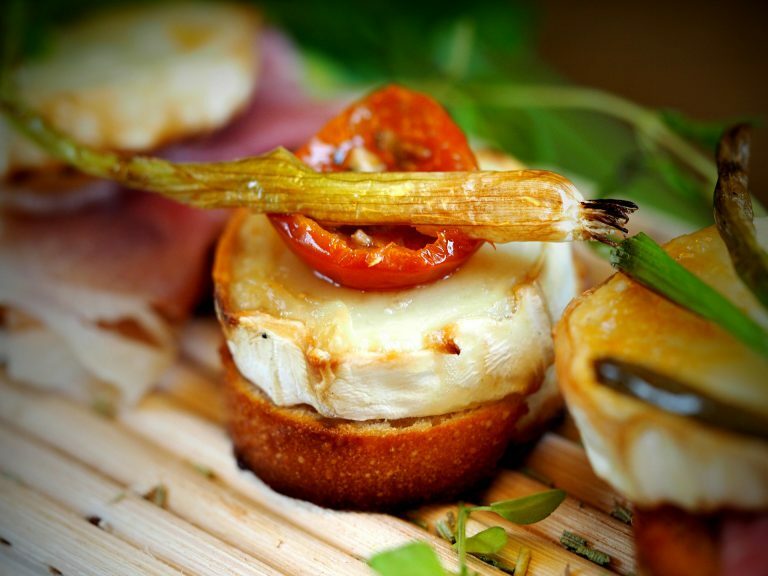 People on our guest list know more and receive special offers on our tours. Sign up here now.